adidas Tubular, it’s caused a substantial ripple in the sneaker world since it’s near-silent release last year. It’s not new, it’s actually an ambitious technology from the mid 1990s, but Nic Galway, recently announced VP of Global Design at adidas, has been almost single-handedly leading the comeback of Tubular, at least from an aesthetic value, since he brought the sole unit to the Y-3 line with the Qasa in 2013. There’s been a shroud of mystery around the Tubular comeback, with the OG getting an relatively unsung reissue last year alongside the futuristic adidas Originals Tubular Runner which has gained organic momentum, but as of the recent Paris Fashion Week, it’s clear where adidas and Nic Galway intend to take Tubular, and it’s as bold as he hoped it to be. I’ve often marked the creation of the ZX FLUX as the first time adidas Originals have properly looked forwards as well as backwards, a credit to its large success, making it the poster-boy of the apparent new direction from adidas Originals to stop being so archive-focused and start to experiment with both old and new. 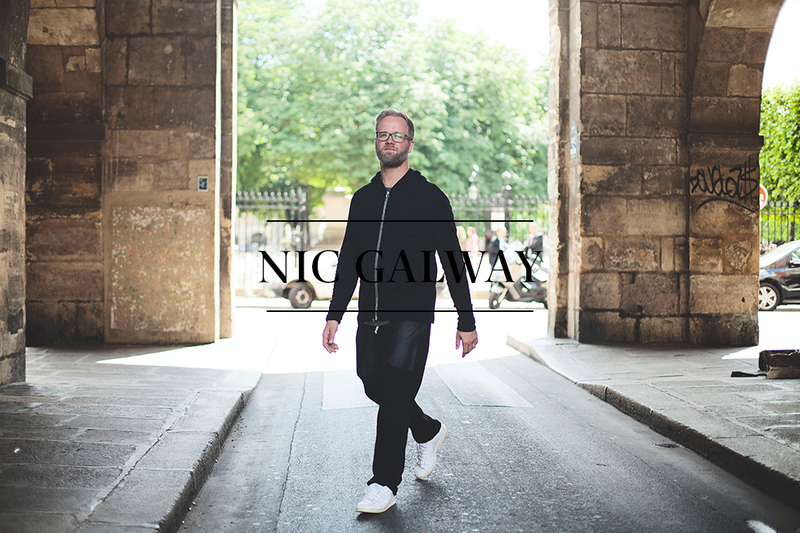 It would seem my Mystic Meg-esque ramblings were right, and it’s been a key mindset for Nic Galway in recent years, except his poster-boy for the revolution is Tubular and he’s been subconsciously preparing us for it for a while. Having first joined adidas back 1999, Nic’s career has spanned some of the most interesting developments at the brand, from the creation of successful collaborative sub-brands such as Y-3 and Stella McCartney, both of which Nic played an important role in, to the creation of adidas Originals itself. It’s hard to imagine now, but there was a time when adidas didn’t have Originals. Today, Nic sits at the top of the tree as Vice President of Global Design at adidas Originals and will be steering the ship into excitingly choppy waters as he intends to grab peoples attention through bold and experimental design, without losing fans or what the ethos of adidas is. Speaking with Nic was as interesting as his work. Ask any journalist and they’ll confirm that 45 minutes is a long time for an interview, but it wasn’t long enough for a conversation with Nic. Then again, I get the feeling that no amount of time would be long enough. His insights are concise, honest and inspirational and they take on a new level of interest when you consider them in the context of adidas Originals and the future of the brand as a whole. Enjoy the conversation below and I hope you take away as much from it as I did. Firstly, congratulations on your new role of VP of Global Design! Thank you! It’s a real honour. I’ve been at adidas for 16 years and I’ve had the most amazing journey in this company. I’ve worked now in every single part, so Originals for me is the full circle. It’s so cool because my whole time there has been learning, from meeting Yamamoto in ’99, Stella, projects we’ve done over the last couple of years, it’s all been learning for me and now I want to take that to Originals and make it much wider and much more democratic. Were Yohji and Stella initiated by you or just executed? When I joined in ’99 I joined as a sports performance designer. I’m a transport designer by trade, and I came in to adidas because I like making things and adidas allows you to be very hands on. I came in to the company and at that time Yohji Yamamoto had contacted us and wanted to work with us and he selected some samples that he liked and they were mine, so it was just a very nice chance. I got to know him and from that day forward it changed my whole perception – you can’t get a better intro into this industry than having a chance to work with someone like Yohji. He’s incredible. 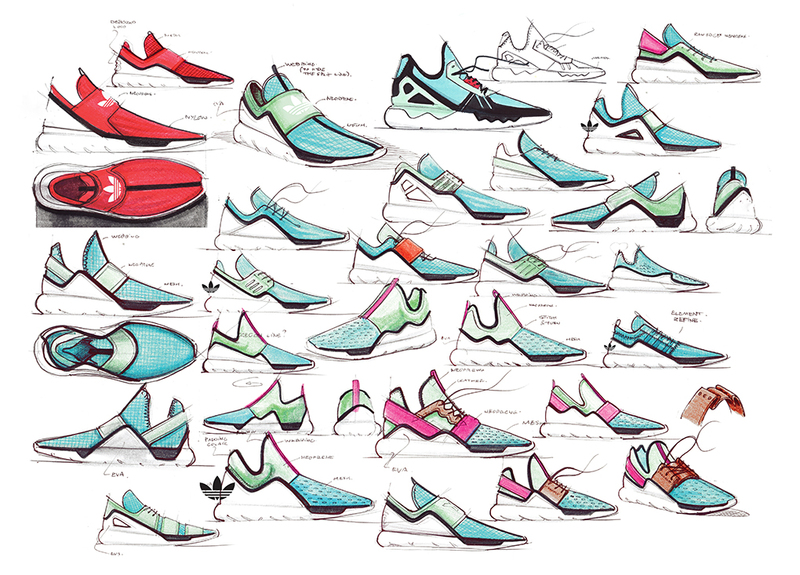 You say that Originals is the last piece in the puzzle of working at adidas for you. What do you think that Originals can learn from the other parts of the company? Well there’s two things; there’s the aesthetic side, and that’s the bit you can see, but the bit that’s almost more important for me is what I get out of collaborations – you get to see how other people think, you get to challenge how we think and how we work in the company. I really like that, and to take that back to my teams is incredible. It’s also funny because I worked with Rick Owens on his first sneaker and I sent him 3D renderings that we had done in our office and he was the same, he was like “Wow! How did you do this?” and you get that kind of sharing of information and sharing of mindset and it just improves you. Being in Germany, you can become a very one dimensional sports brand, but these collaborators allow us to think differently. I always appreciate that. You can learn so much. It’s interesting how they also learn from the collaborations. They have probably never explored sneakers in such a technical sense. That’s the sign of a good partnership; everyone has a benefit. It’s perfect. It’s funny because I started working on the Tubular concept quite a while ago – about four or five years ago. My feeling at the time was that we should be more provocative. I think a company like adidas can challenge. The thing with a product like Tubular is you have to be confident; it’s not for everyone and I like that about it. Stan Smith, anyone can where. You can feel really dressed, or you can disappear in a Stan Smith. Something like Tubular, it gives you a different personality and I thought that that’s what was needed in the industry. People expect that from a brand like adidas. We have this great back catalogue that’s amazing, but we also have to be this pioneering brand and connect with a new generation, and that’s what Tubular is all about. How does the final design differ from what you started playing with five years ago? Obviously now it fits in with current fashion trends, but if you’d released it back in 2011 it would have been a completely different landscape. Yeah, and it’s probably good that it wasn’t. As a designer it’s my natural drive to be like “Come on! Let’s go!”, but sometimes you have to get the right moment. What I really love about Tubular is that I created a silhouette that I wanted to create and provoke a debate. I had in my feeling that people would accept and like this, but I didn’t necessarily want to describe how they should dress and I love the fact that with a product like Tubular the customer creates this look and this world rather than us trying to impose it upon them. I think that’s really interesting. Is there anything else that you recall seeing in your explorations of the adidas Archive that you’d like to go back and explore further? The whole starting point for Tubular was… There’s the shoes from the ‘90s which I presume you guys know, but what’s really interesting is the samples that got us there. There’s four or five prototypes, all hand made – they started with a ZX and some EQT shoes and ground them and cut them and put them together, and these are the shoes that really inspired me, not the end product, but the tests and the samples, because that’s where you get this mixing of components; the toecap of the ZX, the eye stays of something else, it’s all collective memory and that’s really incredible. To give you another one, there’s an incredible set of Formula 1 samples as well – the prototypes are just incredible. So could you go back and pull prototypes rather than released models? Yes and I think we should! Everyone knows and loves the classics, but I think we’re so much more than just those shoes. It’s the stories behind them; the things that work, the things that went wrong, why we couldn’t make something before that we wanted to make that we could make now. That was the starting point of why I started Tubular. If you look at an original ‘90s Tubular shoe, the idea is so simple, but the realities of making a sneaker were a bit different. You had this tube and then you have a plastic plate and then you have a computer and somehow the tube got lost and I wanted to strip that back. I saw those samples and they just jumped out at me as something that needed to be explored. My work with adidas has always been very experimental. I’ve always had the opportunity to somehow do whatever I’d like to in this massive company, so I’ve always played with this, even from the very early Yamamoto shoes, I would play with proportions, silhouettes, archival elements but in new context, and I see it as this journey we’ve been on. With Tubular and Qasa we’ve really hit something exciting. It sound like you very purposefully selected Tubular from the archives to shake things up at adidas. Do you think that Originals has been being too precious with its archives before now? I think so. I see that there’s two paths you should take; I love Stan Smith, I wear Stan Smith, it’s just a shoe I will always wear and there should always be a place for that. When you bring back a shoe 1-to-1, really do it justice, treat it with respect. But also, be bold and confident and do something new. For me, providing the new looks new and the old is respected, it’s perfect. You do something in the middle… I don’t want it. It has to be one or the other. The Tubulars you’re designing these days are very stripped back and futuristic. Where do you predict the trend and innovation will move in the next five years to come? I think there’s two sides to the word innovation; there’s innovation in technology and if you look at a material like BOOST for example, anyone who tries on a BOOST sole knows it’s just the most incredible thing. You can decide if you like or dislike the aesthetic, but you put it on and it’s undeniable. I think that materials like this are going to become so important. And the simplicity of BOOST – it’s not complicated, it’s just right. This is one thing, but then what context do we put that in? How do you change something that is purely athletic into something which is culturally relevant and mix unexpected textures, colours, tonalities, silhouettes? I think once you start to mix these elements together, you create new territory. Really, we’re just starting. Tubular product which we have coming in the next season, I’m very excited for, but I see it as just the start. So it’s something you plan to explore and expand on over time? Absolutely! We have such a big archive, an incredible archive, and I don’t want it to be one directional. Not everything has to be loud or futuristic. For example, the Supercolor with Pharrell, it’s very innovative, but it’s not technically innovative, it’s just the idea of giving choice. Making that shoe so democratic, yet in a way that connected with fashion and culture. This is also an innovation. There’s so many opportunities we can explore. The boundaries between performance and style have been blurring substantially over the last few years, with BOOST being a good example from adidas. Is there anything from the Originals side that you see moving over to the performance side? I think we’ll see this coming. What I believe that style and Originals allows me to do is to explore concepts and forms without having to worry about every last detail. It doesn’t have to be the best at one particular function, but it’s testing new territory, and we start to learn and adapt and create how adidas can look with new generations. There’s learnings which can be taken from that into our performance products, for sure, but then we really have to test. We test, we test, we test. It’s an interesting way of things like this [Tubular] giving back to the brand. On a more general level with your work at adidas, as a designer, what kind of direction do you try and steer the brand personally? Well I think what’s important with everything we do is that it has to be true to who we are. I think people love our company and if you step away from what people love too far, then you lose people. You shouldn’t do that. We all have brands we love and when they’re not true to themselves you can see that and then you think “Well I’d rather buy that from someone else then”. The key to me is “What do we stand for?” and like I say, we have an archive, but it’s not just old shoes, it really is this pioneering, forward thinking company. There must be times when you think “I want to push things in this direction”. Is there a specific direction that you try and steer your work in with the brand? Well, I think what I’m trying to say is that I believe it works when you connect what people love and remember; collective memory, but you do it in a way which takes the dialogue somewhere new. I think if you do that with a product, if someone likes the product or dislikes the product, OK, but they will respect you for having that vision. I think that’s really important. The other thing that I always tell my designers is “Don’t just draw things, make things”, because when you draw, you only ever look at the thing from the side and that’s not how we wear things, so I really encourage my designers to make things. They don’t have to be good, it’s just the exploration that’s so important. If you make something, you start somewhere and it takes you on a journey, whereas if you draw something you can cheat, you can pretend it works, but with making you can’t. For me, that’s the mindset that I want to put into my creative teams. Of the different Tubular makeups to date, what’s your favourite? That’s a difficult one. Of the new ones, I love the Tubular Doom [shown above]. This is the higher cut, Primknit sock one. I like this for two reasons; I directed it, but I didn’t design it, it came from my team and for me that’s really nice to see, what I started this with Qasa, with Y-3 and now Originals, but it’s part of how my team now thinks, so to see that happen is very rewarding for me. Then of course, the first Tubular shoe, the Runner, and the Qasa, these are very personally important shoes because I had a moment where I thought “This is what we should do”. It’s interesting how Tubular has trickled down from the more creative realms of high-fashion with Y-3 and now into Originals. That’s one of the benefits of working with someone like Yohji. 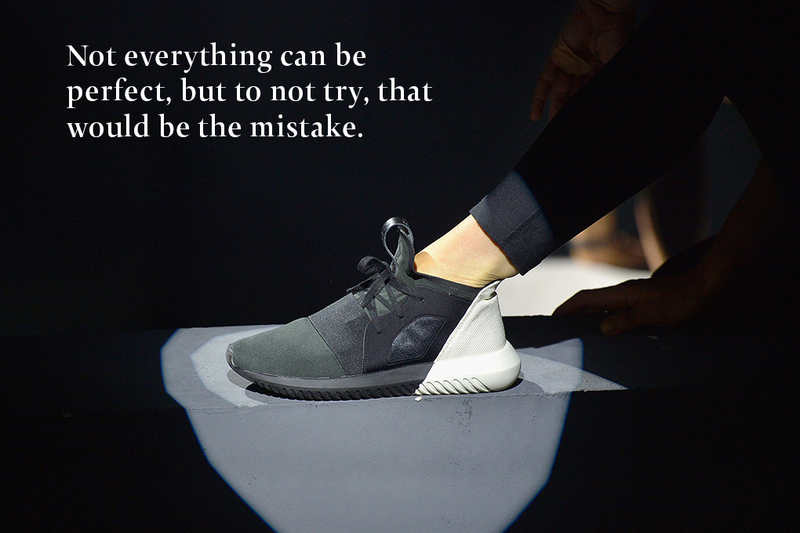 The reason we launched that shoe in the first place, the Qasa, was because I had a conversation with Yohji and he was like “Everything is so boring”. He doesn’t say many things, but this is kind of how he put it to me; “We should do something different” and I said “Well, I have this idea…” and I showed him and he said “Yeah, we should do this!”. At the time, did you ever consider the larger picture? How it could eventually trickle down to Originals? It wasn’t some plan like that, it was much more of an experiment. Through Yohji, I din’t have to convince anyone. No one would stop me [smiles], whereas if I tried to do it in another way I’d have to convince so many people. It allowed me to be bold. 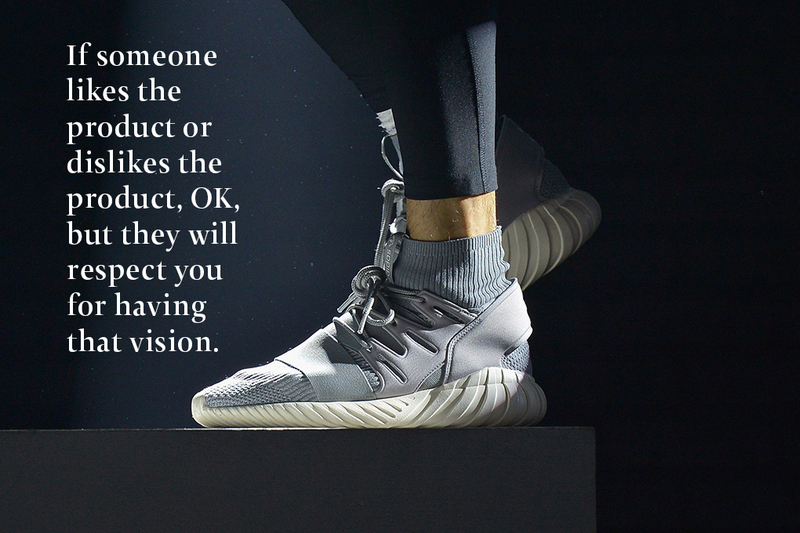 Are you referring to people inside adidas or consumers? On all levels! Y-3 was sort of like a concept car. It’s a playground for creativity, it always has been. What’s so nice is, the Qasa is also very very true to the collective memory of adidas. You can see adidas in the shoe, despite it being so future thinking, and the way that that shoe was adopted and taken into culture just showed that we were on the right path. adidas is a brand; Y-3, Originals, we’re all one brand and that becomes part of who we are. adidas has always been a uniquely interesting brand because it has had these experimental sub-brands, usually through high fashion, for example Jeremy Scott or Y-3 or Stella McCartney, but it seems that recently adidas are really starting to use these sub-brands as litmus tests for what you do within the mass market. How much of that is a conscious decision? I think it’s a noticeable change in the industry. Like I said, in ’99, when we did the first Yohji collection, people definitely questioned “Should we even do this?”. 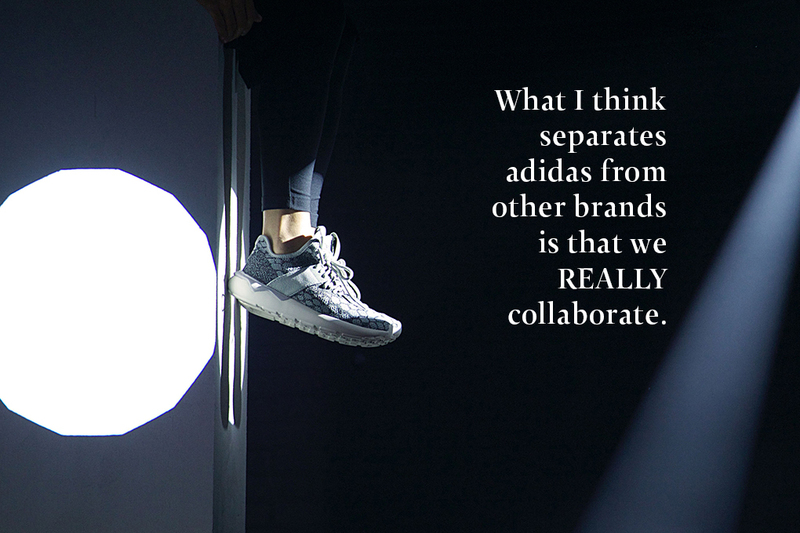 It didn’t exist and now, in some ways, collaborations are commonplace, but what I think separates adidas from other brands is that we REALLY collaborate. We never just write someone’s name on a product, we work with them. It’s risky. It’s much easier to try and direct someone, it’s much riskier to say to someone “What shall we do? How do you see our brand?” and really take that chance. I think it brings a lot of life. I had a conversation with Pharrell when we first met him at the start and he said “I see you guys as a people company and that’s why I’d like to work with you”. Every collaboration has to have a point of difference and it has to be true, otherwise we wouldn’t do it. With the original Tubular, there was a degree of customisability within the cushioning, a feature that used to be popular but isn’t seen much these days, for example with the Reebok Pump or adidas Plugs. Do you think we’ll see it come back? I wouldn’t say it’s given up, but I think it depends on how you approach it. It can be a gimmick and I’m not a fan of gimmicks. The intention of the original Tubular is somehow different, because it really was trying to be true to the car tyre that inspired it, but some of the other things you mentioned, I’m not sure. However, if we hit upon something and we think “Yeah, this is genuine and it will make a difference” then I would certainly do it. If I think it’s just a marketing gimmick, then I don’t think we need to. We can do so many other things. What Tubular appears to embody, and it’s a key part of adidas as a brand, is the bravery to do what you think is right, rather than what you think the consumer wants. Yes. It’s risky! I often find that in the office, the work that you guys do is really useful for me. It gives me a feeling of where we’re at and where we’re moving. I gage the audience and it’s hugely influential on me, but it’s not where I gain my inspiration, because you have to separate that. This is like a barometer of culture and where we’re moving, but to really win in this industry, you have to be thinking “What’s next?” and that’s on people like myself to create. To reflect on the past, but to be confident. It’s not taking weird risks, it’s considered, but I think you have to be confident. There’s stuff we’ve put out there which I’ve believe in, but others haven’t. I did a shoe in 2000 that became a Yamamoto shoe, it was a split-sole, very low women’s shoe. At that time, women’s wasn’t going anywhere, it was still the end of aerobics and no one wanted to do that shoe, it took a lot of convincing. If you look at low profile trainers today, it seems quite normal, you see it everywhere, but this was at the very beginning, and things like that I find pretty amazing because the first season we sold a pretty small number and then the next season it just went crazy. Things like this always stick with me. What about considerate consumption? Creating shoes that are consumed by all, but also considering the environment and how it’s produced? I think there’s multiple sides to it. Purposefully in adidas, we don’t shout about ourselves environmentally, because I think that’s not the purpose of it, the purpose is to do good. I don’t know the exact surveys, but we’re rated very highly as en environmental company and that’s due to a lot of measures which have been put in place over the last decade or so. The way we source, the way we work, it’s very important to us, but it’s not something we should shout about, it’s something we should do and live. But then it goes much further and my challenge as a designer is not just how things look, but how they’re made, where they’re made, what technologies and different processes are used. It’s all changing. You can order products on the internet now which you couldn’t do in the past, so they don’t have to be made in big numbers, they can be made to order, they can be made in different countries, and all of these give me different challenges and will effect, maybe, how the product ends up looking. You’ll see this coming in the seasons ahead. The other thing to say is to make products that inspire people, because then they buy them. The worst thing you can do is to make products which don’t get sold. Products that are loved and worn, that’s a good use of a product. Talking about people buying product on the internet, do you have any input on how products move to miadidas? Of course. The team sits next to my office actually. Yes, but I like to give them the framework, the world of the Tubular for example, I don’t like to be too prescriptive because it’s not MY adidas. Otherwise I’d just do what I want and if you’re going to do something like miadidas you have to be a little less controlling. Do you ever find it hard to allow consumers to have control over your designs? Sure, I mean I’m a designer [laughs], but I think it’s also important. Like I said, I can learn from everyone around me, I don’t have all the answers, I’m always interested. I see all these custom shoes right now and some I like, some I hate, but I’m always interested in how they see it, how they see us. It’s important. 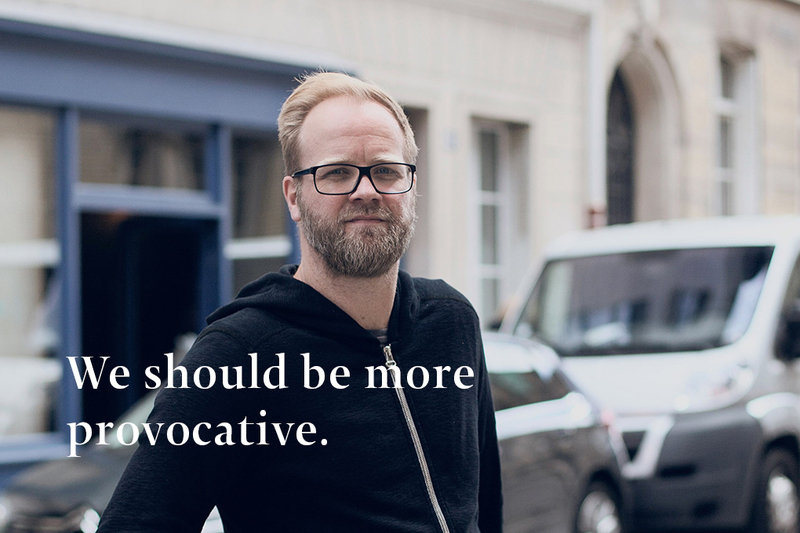 Dirk Schönberger (adidas Creative Director) recently said that adidas doesn’t need to be the biggest, it just needs to be the best. What are your thoughts on that statement? I 100% agree with Dirk on that. I think if you’re true to that statement then the biggest can follow, but just trying to be the biggest… what does that mean? There’s no integrity or sustainability in that approach if you’re not true. Every single day I go to the office I’m thinking “What could I create? What could I do?”. It’s a privilege to work somewhere like adidas and have that around you. You have to be respectful. I have a lot of young designers in my team and I always tell them just how amazing our opportunity is in this company. When I joined, there was no Yamamoto, or Originals even, and now all of this is there. We’re spoilt. You’ve seen a lot of change in that time! An interesting thing about social media and how the industry has changed is that you get the feedback, wether you want it or not, wether you like it or not, and you can take it or leave it. It’s really interesting and I like it. Have you had to grow a thicker skin so it doesn’t effect your work? To be honest I’ve never really worried. Maybe that’s arrogance or self-belief, I don’t know. One thing I always tell my designers is that it’s OK to fail, because if you’ve never failed then you haven’t tried hard enough. I mean, don’t fail all the time of course [laughs], but don’t be afraid of that. People will respect you for your intentions. Not everything can be perfect, but to not try, that would be the mistake. Special thanks to all at adidas, as well as Almass from Individualism, Megan from Complex UK, Monique from CHAMP, Morgan from Crepe City and Ry from The Drop Date for the collective questioning.